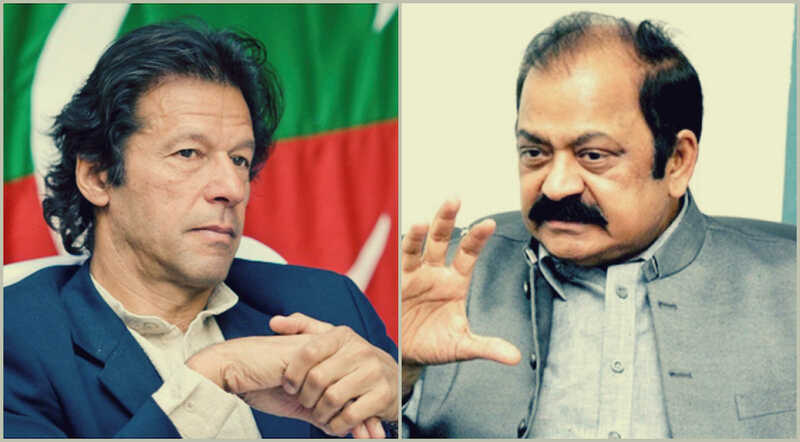 FAISALABAD: Punjab Law Minister Rana Sanaullah said on Monday that due to Pakistan Tehreek-e-Insaf (PTI) Chairman Imran Khan’s ‘impious behaviour,’ no one would want him even as a security guard, let alone elect him as the prime minister of Pakistan. He further said that if Imran Khan wins the upcoming elections, Pakistan would see a massive downfall. He said that court should take suo moto notice over the PTI leader’s behaviour and requested the nation to hold him accountable for his ‘impious’ actions. Rana Sanaullah said that the current Pakistan Muslim League-Nawaz (PML-N) government has faced immense hurdles in the last four and a half year of being in the government. While speaking to media in Faisalabad, he said that attempts were made to stop development projects in the country; however, PML-N continued working for the people. Sanaullah said that projects worth Rs5 trillion were completed and not even a single rupee’s worth of corruption was proven. In fact, he stated, records for the Metro Line in Lahore and Multan have been submitted to the National Accountability Bureau (NAB). He said that Pakistan Peoples Party’s co-Chairman Asif Zardari’s recent comments over corruption are a ‘sign of doom’s day’ nearing. He further remarked that from now on PML-N would be able to manage any future sit-ins peacefully and efficiently since they are now equipped with ample experience. Concluding his talk with the press, Rana predicted that the upcoming elections would be fought between PTI and PML-N. Earlier, Prime Minister Shahid Khaqan Abbasi shared a similar sentiment at the inauguration ceremony of Sialkot Airport’s international terminal. The PM said that all the development work across the country is reflective of the vision of the PML-N leader Nawaz Sharif adding that the PML-N continues to be criticised despite working for the benefit of the people. He further said that the PML-N government was not only successful in resolving the electricity crises but is also currently working on electricity generation for the coming 15 years. The PM further said that attempts are being made to spread disorder in the country for the last four years.